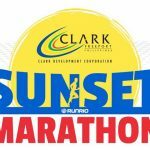 Join The Clark Sunset Marathon December 9 | JustRunLah! DO YOU have a hard time waking up for an early morning fun run? Is the morning sun too hot for you? If so then check out the inaugural Clark Sunset Marathon that will be held on December 9, 2017 (Saturday) at the Clark Parade Grounds starting at 4:00 PM. The novel race presented by the Tourism Promotions Board, Clark Development Corporation and organized by Runrio Events offers runners a respite from the hot weather, pollution and the Metro Manila traffic as they travel around the Clark Freeport Zone and then get treated to the Clark Sunset Music Festival at the finish line featuring top DJs Tom Taus and Ashley Rivera dishing out their brand of beats. Runners will also get to experience a new AIMS-certified course thus allowing them to use the race as a qualifier for major international races like the Boston Marathon. The certification is also sure to draw interest from overseas runners as Clark has the Diosdado Macapagal International Airport coupled with sufficient hotel facilities and road network as well as a host of tourist attractions. CDC’s Noemi Julian flanked by Runrio’s Franco Bambico and Andrew Neri at the event launch. 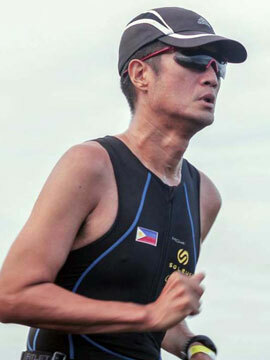 Aside from the main 42.195-kilometer marathon, runners may opt to join the side events of 21, 10 and five kilometers. Online registration is now ongoing until November 25 at www.runrio.com while onsite registration will be held at Garmin branches located at SM Mall of Asia, SM Megamall, SM City North EDSA, Uptown BGC and Alabang Town Center and at Cycles and Brew located near the Clark Parade Grounds. Cash prizes as much as PHP 100,000.00 await the overall champion of the marathon while the fastest Filipino will receive PHP 30,000.00. All runners 42, 21 and 10km runners will receive medals while 42 and 21km finishers will get an additional adidas shirt. Registration fees are set at PHP 1,800.00 (42km), PHP 1,400.00 (21km), PHP 850.00 (10km) and PHP 650.00 (5km) with the rates doubling for overseas runners. 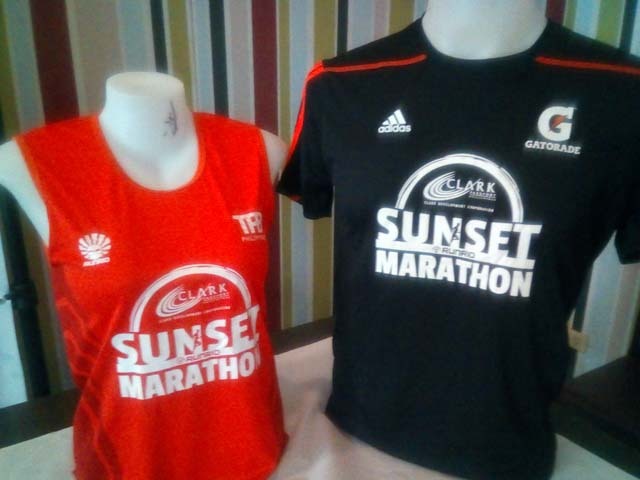 The race kit includes an event singlet, race bib, loot bag and ticket to the Clark Sunset Music Festival. The CSM is just the beginning. 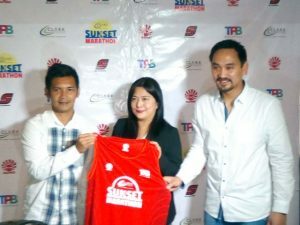 Clark Development Corporation’s Noemi Julian bared during the recent media launch that CDC and Runrio just inked a 10-year memorandum of agreement to hold fun runs and other events in the area thus assuring that the CSM would grow and achieve its goal of being one of the premier destination races in the region while promoting Philippine tourism.